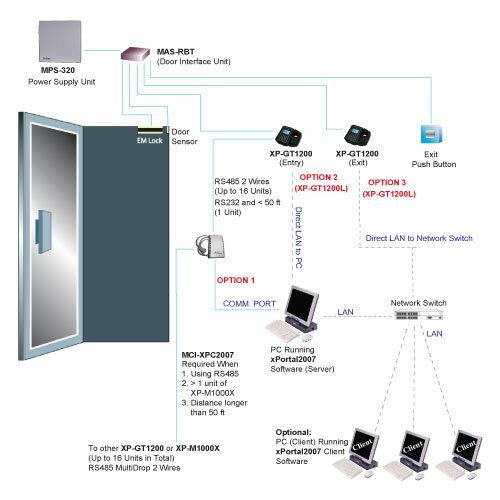 The XP-GT3200L Access Control System is designed to meet the high standards required in security for today and in the future. 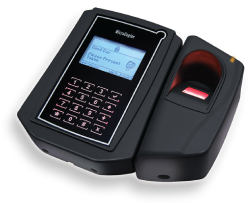 Attached with the fingerprint verification unit, the XP-GT3200L is able to cater for different levels of security needs and applications. The user may opt to install a card identification first and still have the option to add the fingerprint verification when the need arises. The XP-GT3200L itself boast a rich suit of features and capabilities. Built with high density memory offered by flash technologies, it can cater to a card user capacity of up to 3,200 and transaction record capacity of up to 20,000 to cater to applications ranging from residential, commercial, industrial and even public sectors. 99 numbers of Time Set and Time Zone provides the user with the flexibility to control the access level of each user up to the minute. Its capability to offer different features when operating under Door Access and Time attendance also enables it to provide a more complete solution under these circumstances.